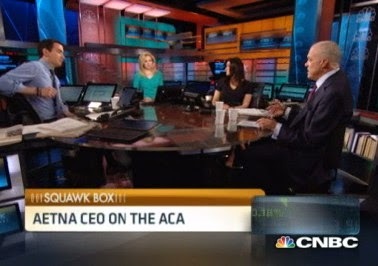 The Affordable Care Act—also known as Obamacare—is "not an affordable product" for many people and it does not fix the underlying problems causing high health-care costs, Aetna Chairman and CEO Mark Bertolini told CNBC on Wednesday. "If we're going to fix health care, we've got to get at the delivery of care and the cost of care," Bertolini said in a "Squawk Box" interview. "The ACA does none of that. The only person who's really going to drive that is the consumer and the decisions they make." "Getting everybody insured should probably be our goal, but you have to have a more affordable system," he added. "We have a 1950[-style] health care system in the Unites States." ..."We have 600,000 ... customers as a result of the Affordable Care Act," Bertolini said. "We do know they are sicker. We know 87 percent are subsidized. We know they are older. So we expect they are going to use more health care." "We priced this [Obamacare] business at lower margins in the 3 percent to 5 percent range … but we didn't plan or expect earnings as a result of those populations," he explained. Hopefully Lois Lerner didn't catch this segment, otherwise Bertolini could be in for some very rough times ahead. Any reasonably literate American knows that Hamas is a direct descendant of Hitler's Third Reich. So who would have thought that the majority of Democrats either side with Nazis or don't know whether Nazis are good or bad? I blame the Department of Education and the media for their insane conspiracy to decouple Hamas from both its charter and its Nazi heritage. You can see all of Biff's comics by clicking here. An Italian journalist operating in Gaza corroborated Israel's account of an errant Hamas rocket strike on a Gaza school playground on Monday, according to an Israel National News report. At least 10 people were killed, mostly children, in the Shati refugee camp school. 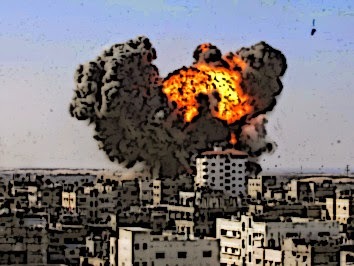 Israel was immediately accused; however, it insisted that Hamas rockets caused the death and destruction. Returning from Gaza and presumably safe from potential "Hamas retaliation," journalist Gabriele Barbati tweeted confirmation that Hamas terrorists quickly tried to cover up evidence of its errant rocket strike. A Wall Street Journal reporter, Tamer El-Ghobashi, tweeted evidence confirming a Hamas rocket struck Gaza's main hospital. El-Ghobashi deleted the tweet shortly after. Hamas had as many as 10,000 rockets when Operation Protective Edge began three weeks ago. It has fired nearly 3,000 at Israeli civilians since then, and Israeli military officials say they have destroyed thousands more. Though as many as 5,000 remain, increasing reports indicate that a greater volume of rockets are falling short and landing in Gaza. Sponsored by: Tell Congress the conditions for approving Pres. Obama's emergency funding request! QOTD: "Operation Protective Edge marks the third round against Hamas in the last five years. In reality, we are in one long never-ending war of attrition, whose intensity is only growing. This war is eroding Israeli deterrence against its near and distant enemies, and it must end decisively. The security situation demands an unequivocal victory. Israel must not repeat the mistake of the "Pillar of Defense understandings." Understandings of this kind should be rejected outright. They don't hold water and Hamas is doing everything in its power to undermine them. In every sense of the word. To return security to Israelis and to residents of the south in particular, we must reach a situation where Gaza has been disarmed of missiles, rockets and attack tunnels. We must secure an end to this war of attrition, and we have the full legitimacy to do so. There isn't a country out there that wouldn't agree that if a terrorist organization was camped on its border, it would disrupt the everyday lives of its citizens, endangering their lives over the years. 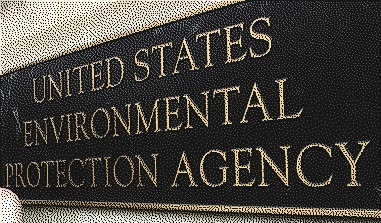 YES, THIS IS A RHETORICAL QUESTION: Is the EPA Really Interested in Your Criticism? Americans will get to have their say on the Environmental Protection Agency and its proposed regulation to fight climate change this week. The agency will hold public hearings in four cities to fulfill its promise to get stakeholder input and let everyday Americans comment on the proposed rule. But whether the agency takes the input seriously is another matter. Given what EPA Administrator Gina McCarthy wrote on the EPA’s website, it’s not promising. 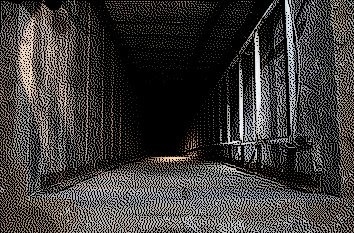 War On Terror: As the Ebola disease spreads in Africa and detainees from that continent are apprehended, the question must be asked: What if terrorists already willing to die try to bring the disease across our porous southern border? The Ebola outbreak that has killed at least 672 people in Guinea, Liberia and Sierra Leone could land in the U.S., according to John O'Connor, a spokesman for the U.S. Centers for Disease Control and Prevention. "It's true," he says, "that anyone with an illness is just one plane ride away from coming to the U.S." Indeed, a Liberian man infected with Ebola boarded a plane and brought the disease to Lagos, Nigeria, Africa's largest city, with 21 million people. But what if in the future it's no accident? Nigeria is the home of Boko Haram. The Islamic terrorist group ISIL has long been recruiting terrorists in the West and is known to have members with Western, even American, passports. Deliberately spreading the disease to the U.S. might not even require a plane ride, and it's possibile that terrorists already willing to strap bombs to their bodies might just as willingly get infected and pay a coyote to get them across our open southern border. We remember the 9/11 Commission saying that terrorist attack was due in part to our lack of imagination. We couldn't imagine young Middle Eastern males learning to fly, but not land, passenger jets as part of a plan to fly them into skyscrapers. The spreading of Ebola to the U.S. could be intentional, given the virus' relatively long incubation period of up to three weeks without symptoms, and no shortage of terrorists willing to die for their cause. It would be easy for an infected terrorist to slip in among the OTMs (Other Than Mexican) who have also been crossing our border. "Central Americans are not the only ones being smuggled through Mexico to the United States," said a 2012 report by the U.N. Office on Drugs and Crime, a fact regularly reported by the U.S. Border Patrol. It's good to see the administration being extra careful with your tax dollars. 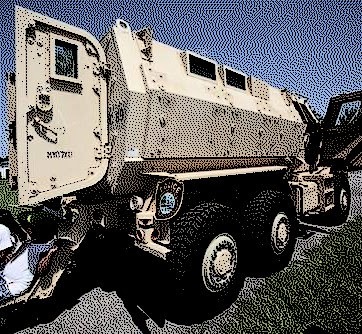 The report indicates that over 600 MRAPs have been sold to police departments around the country. With a fuel efficiency rating of 4 MPG, I would have thought the radical left would oppose these vehicles based upon carbon footprint alone. 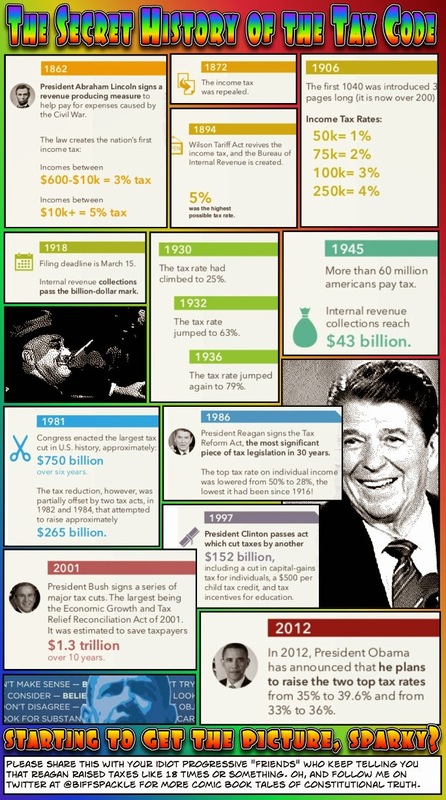 But for the Left, as you know, the ends always justify the means. QOTD: "Consider the media obsession with the [Gaza] body count. According to a daily tally in the New York Times, NYT -3.64% as of July 27 the war in Gaza had claimed 1,023 Palestinian lives as against 46 Israelis. How does the Times keep such an accurate count of Palestinian deaths? A footnote discloses "Palestinian death tallies are provided by the Palestinian Health Ministry and the United Nations Office for the Coordination of Humanitarian Affairs." OK. So who runs the Palestinian Health Ministry in Gaza? Hamas does. As for the U.N., it gets its data mainly from two Palestinian agitprop NGOs, one of which, the Palestinian Center for Human Rights, offers the remarkably precise statistic that, as of July 27, exactly 82% of deaths in Gaza have been civilians. Curiously, during the 2008-09 Gaza war, the center also reported an 82% civilian casualty rate. When minutely exact statistics are provided in chaotic circumstances, it suggests the statistics are garbage. When a news organization relies—without clarification—on data provided by a bureaucratic organ of a terrorist organization, there's something wrong there, too. DEMOCRATS FINALLY ADMIT THE TRUTH: Amnesty is all about fundamental transformation of the U.S. Politics: Give us your poor, your tired, your future Democrats waiting to be registered. That's what some in the party are saying as they urge the president to pursue immigration goals even if it hurts in the '14 midterms. In other words, damn the political torpedoes and full speed ahead in the fundamental demographic and political transformation of America. "You'll always have members whose political vulnerability they tie entirely to immigration," said Rep. Raul Grijalva, D-Ariz. "We didn't make progress when we were in the majority because we were being protective of those (members) on immigration reform. At some point do you worry more about the future or do you continue to put off the inevitable by not taking action?" 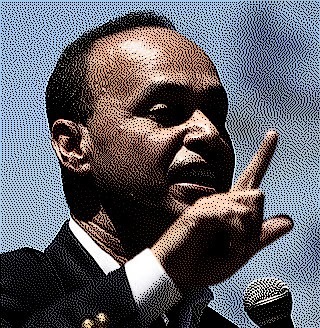 For Democrats such as Grijalva and Rep. Luis Gutierrez, D-Ill., amnesty and the political benefits stemming from it are inevitable. They are quite willing to use children to exploit the inherent compassion of the American people if it means ensuring the political future of the Democratic Party through the gratitude of millions of illegal aliens allowed to come here and stay. The Obama Administration has openly declared its plan to implement a unilateral executive amnesty for 5–6 million more illegal immigrants. This unlawful amnesty—urged on by congressional Democrats—would include work permits, taking jobs directly from millions of struggling American citizens. Any action Congress might consider to address the current border crisis would be futile should the President go forward with these lawless actions. Congress must speak out and fight against them. It must use its spending power to stop the President’s executive amnesty. That the House leaders’ border package includes no language on executive actions is surrender to a lawless President. And it is a submission to the subordination of congressional power. After years of falling wages and rising joblessness, American workers are pleading for someone to hear them. How can it be that our President is brazenly advertising that he will nullify and strip away American workers’ immigration protections, and their own elected leaders will not rise to their defense? Or to the defense of our laws and our Constitutional order? There are other grave concerns with the Granger package as well: because it does not fix our asylum rules and loopholes, the end result of the additional judges and hearings will be more illegal immigrants gaining asylum and access to U.S. welfare. 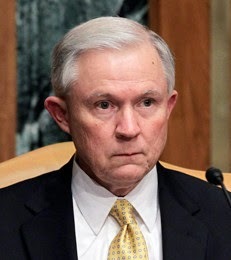 It is a plan for expedited asylum, not expedited removal. Nor will this package make our rogue President actively enforce anything, coming nowhere close to the kinds of reasonable enforcement activities needed to restore the interior application of our immigration laws. And finally, a package that is silent on blocking amnesty creates an opportunity for Senate Democrats to add elements of their party’s open borders and mass immigration agenda. This legislation is unworthy of support. What can you do now? Call your Representative now and tell them to vote NO on Boehner's surrender bill. I meant to say "Muslims"
I posted this video on the previous post. Youtube removed it, probably due to mass reporting for horror in content. The last part of the video actually does contain a great deal of harsh violence. 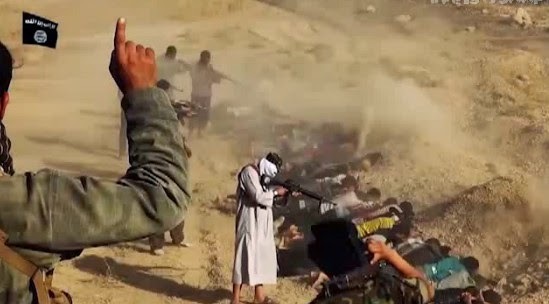 But this violence is the modus operandi of the muslims who are taking over more and more parts of Iraq and Syria. It needs to be seen at least once and believed always. However that is not the most important significance of this video. Most of us by now have seen several jihadi videos of sadistic and even pornographic violence done by muslims and even justified by scripture in some of them. This one however was done with a kind of honesty that I have not seen before. This cannot be dismissed for geopolitical reasons or any of the other typical leftist blather. I wonder what Dear Leader and his brilliant Secretary of State -- John Kerry -- have to say about this? Nothing of interest here, so just forget you saw this. 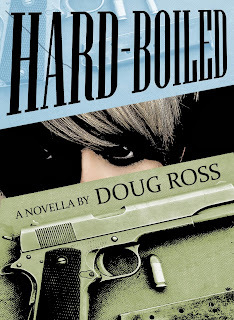 P.S., An alternate link is here. Because of their size and agility, children make good tunnel-diggers. The English knew this when they were digging coal mines during the Victorian era; Hamas knows it now. 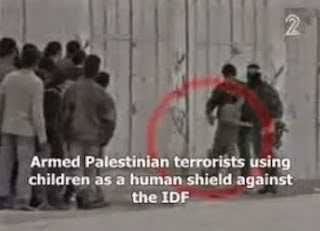 Thus, the Journal of Palestine Studies (edited by President Obama’s pro-Palestinian friend Rashid Khalidi) reported in 2012 that Hamas uses children to help dig tunnels into Israel ... “at least 160 children have been killed in the tunnels, according to Hamas officials.” And, as noted, this was as of the end of 2011. How many more Palestinian children have died digging tunnels for Hamas since then? 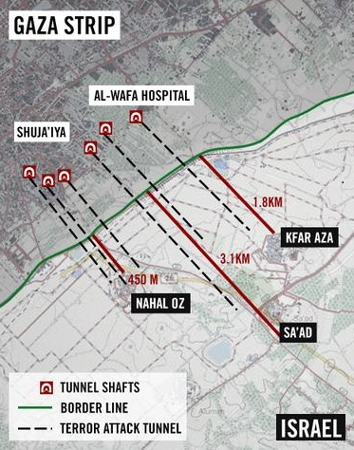 ...Hamas obviously has no interest in having a photo-layout of one of its command bunkers beneath Shifa Hospital splashed on the front pages of newspapers. After all, such pictures would show that the organization uses the sick and wounded of Gaza as human shields while launching missiles against Israeli civilians. What Hamas wants is for reporters to use very different pictures from Shifa—namely, photos of Palestinians killed and wounded by Israelis, which make Palestinians look like innocent victims of wanton Israeli brutality. 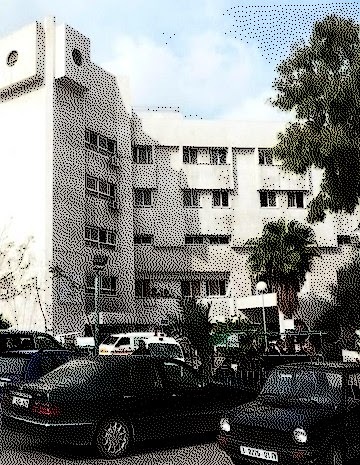 ...What Hamas has done, therefore, is to turn Shifa Hospital into a Hollywood sound-stage filled with real, live war victims who are used to score propaganda points, while the terrorists inside the hospital itself are erased from photographs and news accounts through a combination of pressure and threats, in order to produce the stories that Hamas wants. So if reporters aren’t entirely to blame for participating in this sick charade, then who is? ...Geez, read that thing. Domestic eavesdropping, government spending, Iraq, and immigration: the only reason that the economy isn’t on that list is because in March 2006 unemployment and gas prices were noticeably lower than they are right now. Basically, it really is history repeating itself – or, to quote a button I once saw: it’s History screaming “Why won’t you ever LISTEN to what I’m SAYING!” and letting fly with a club. 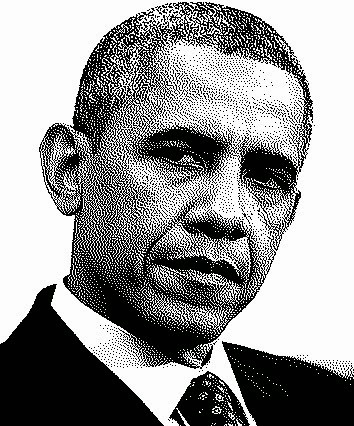 As the great WyBlog observes, "the only person who wants the House to impeach Barack Obama is ... Barack Obama." Sponsored by: CALL CONGRESS NOW: BLOCK OBAMA'S PLANNED EXECUTIVE AMNESTY! QOTD: "Israel and the US are meant to be allies; the US is meant to be committed to the protection of Israel in this most ruthless of neighborhoods; together, the US and Israel are meant to be trying to marginalize the murderous Islamic extremism that threatens the free world. Yet here was the top US diplomat [Secretary of State John Kerry] appearing to accommodate a vicious terrorist organization bent on Israel’s destruction, with a formula that would leave Hamas better equipped to achieve that goal. The appalled response to the Kerry proposal by the members of the security cabinet on Friday night, however, made plain nothing had gotten lost in translation at all. The secretary’s proposal managed to unite Israel’s disparate group of key political leaders — from Naftali Bennett and Avigdor Liberman on the right, through Prime Minister Benjamin Netanyahu, to Yair Lapid and Tzipi Livni on the center-left — in a unanimous response of horrified rejection and leaked castigation. The Netanyahu government has had no shortage of run-ins with Kerry in the mere 18 months he has held office. The prime minister publicly pleaded with him in November not to sign the interim deal with Iran on its rogue nuclear program, and there has been constant friction between the two governments over thwarting Iran’s bid for the bomb. Defense Minister Moshe Ya’alon in January ridiculed Kerry’s security proposals for a West Bank withdrawal, calling the secretary “messianic” and obsessive” in his quest for an accord with the Palestinians that simply wasn’t there. The collapse of the talks in March-April was accompanied by allegations from Jerusalem that Kerry had botched the process, telling Israel one thing and the Palestinian Authority another, including misrepresenting Israel’s position on Palestinian prisoner releases. But none of those episodes, though deeply troubling and relating to issues central to Israel’s well-being, provoked the kind of outraged disbelief at Kerry’s performance that has been emanating from the Israeli leadership in the past 48 hours. Leaked comments from unnamed senior government sources to Army Radio, Channel 2 and other Hebrew outlets have described the secretary as amateurish, incompetent, incapable of understanding the material he is dealing with — in short, a blithering fool. On Sunday, July 27, Eleanor Clift, a member of The McLaughlin Group panel, referred to Israel’s “disproportionate” response to the thousands of rockets and missiles that Hamas has been firing at its citizens for months, if not years. This is a common criticism of Israel, but it is far easier to make if you are living safely somewhere other than Israel and not being awakened by alarm sirens at 5 A.M. with just a little time to make it to a bomb shelter. Ms. Clift was hardly alone. In Great Britain, the Deputy Prime Minister, Nick Clegg, in contrast to Prime Minister David Cameron, also declared Israel’s response to Hamas as a “disproportionate form of collective punishment” on the citizens of Gaza. On July 26, The Times of Israel reported that “Thousands of pro-Palestinian protesters marched in London and Paris on Saturday, calling out against Israel’s military operation in the Hamas-controlled Palestinian enclave." In London, the second Saturday in a row, the protest was estimated to have drawn more than 10,000 participants. “Demonstrators held placards reading ‘Stop Israeli State Terror’. ‘Freedom for Palestine’ and ‘Gaza—End the Siege.’ They also chanted ‘Shame on you David Cameron’ as they filed past the British prime minister’s Downing Street office.” By contrast, Paris cracked down on pro-Palestinian demonstrations and, along with Germany and Italy, denounced expressions of anti-Semitism. No doubt the expressions of support were welcome in Israel, but when it strikes back against its enemies it tends to run out of friends rather swiftly. 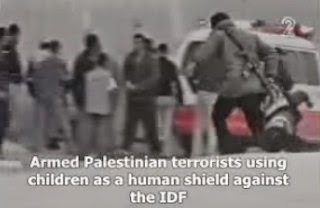 Scandinavia, Denmark, Finland and Norway all backed the Palestinians but the European Union did condemn the rocket attacks by Hamas, as well as its use of human shields. Departing from President Obama’s pro-forma statement on Israel’s right to defend itself, South American nations condemned Israel in tune with their general acceptance of the view that Israel is an aggressor and occupier despite the fact that in relinquished control of Gaza to the Palestinians in 2005. Joining in the chorus of condemnations were Argentina, Bolivia, Brazil, Chile, Ecuador, Uruguay, and Venezuela. The hypocrisy of those who raise the issue of “proportionate response” is breathtaking. Since land was set aside by the United Nations to establish the State of Israel in 1948, a series of regional and ideological conflicts – and, indeed, often violent fighting – has broken out between Israel and the Arab States, collectively known as the Arab-Israeli conflict. The Six Day War of 1967 was one of them, and resulted in a decisive Israeli victory, gaining new boundaries for Israel. Syria and Egypt, two leading nations in the Arab world, desired their lost land, declaring afterward in a summit that there would be “no peace, no recognition, and no negotiation with Israel.” Egyptian President Anwar Sadat publicly decried the Jewish state, and announced that even a slight admission of defeat by Israel may alter the status-quo in the unstable region. 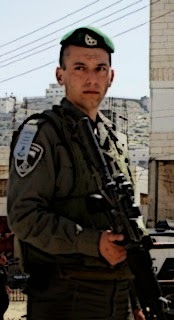 It is then no surprise that Israel began a military buildup and attempted to heavily fortify its borders. Then came the attacks of October 6, 1973 – a coordinated, surprise attack on Yom Kippur, the Holiest of days in the Jewish calendar. 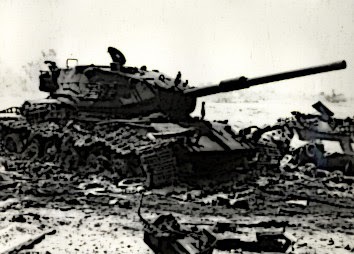 To demonstrate how much Israel was up against: 180 Israeli tanks faced over 1400 Syrian tanks; closer to the Suez Canal, a mere 436 Israeli infantry were poised to fight over 80,000 Egyptian soldiers – this even after Israel’s military buildup. The attacks by Egypt and Syria were backed by nine Arab states – as well as one non-Arab state: the Soviet Union. THAT'S A RELIEF: "Ebola could easily arrive in the USA on board a plane, but wouldn't spread far, experts say"
The growing Ebola outbreak in West Africa serves as a grim reminder that deadly viruses are only a plane ride away from the USA, health experts say. The outbreak is the largest and deadliest on record, with more than 670 deaths and more than 1,200 infections in Guinea, Liberia and Sierra Leone, according to the Centers for Disease Control and Prevention. 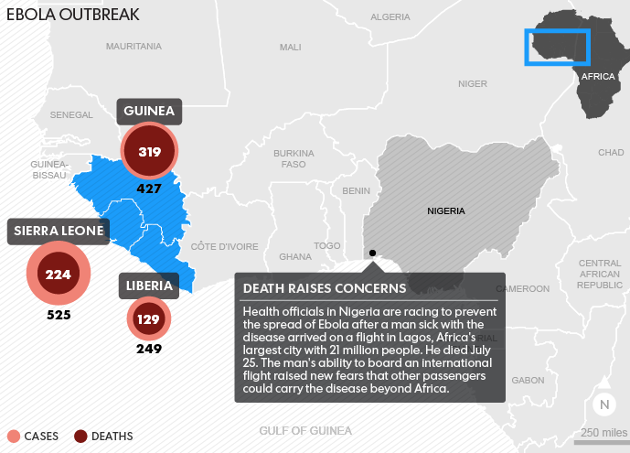 Fatality rates for Ebola have been as high as 90% in past outbreaks, according to the World Health Organization. Ebola is actually much harder to spread than respiratory infections, such as influenza or measles. 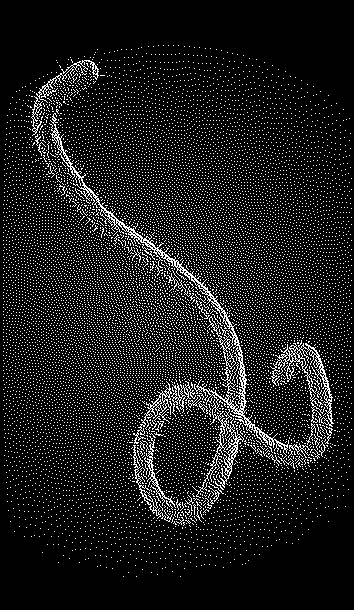 Those viruses pose a much greater threat on a plane or in any confined space, says Osterholm, who notes that people cannot spread the Ebola virus simply by sneezing or coughing. Let's hope this crop of experts is a tad more accurate than the clan of scammers who tried to market global warming climate change climate disruption. Consider this: In recent days, a) Malaysia Airlines Flight 17 was shot down, apparently by Russian separatists in Ukraine, b) In the Gaza strip, the numbers killed continued to mount as Israelis and Palestinians exchange rocket fire, c) a huge influx of children fleeing Central American poverty and gang warfare swamped America’s southern border, creating a humanitarian crisis. And, oh yeah, d) Christians living in Mosul were given the choice to either convert to Islam or flee the area they have inhabited for nearly two thousand years. You know what else has happened during this time? a) Obama played many rounds of golf, b) he attended numerous fund-raisers, c) he dined on barbecue in Texas and burgers in Delaware, and d) he almost appeared on the comedian Jimmy Kimmel’s late-night television show in Hollywood. The subhead on the Telegraph's story is brutal: "The degree to which Barack Obama is now phoning it in – sleepwalking perfunctorily through his second term, amid golf rounds and dinner parties – is astonishing." Listing the numerous global crises currently facing the United States, Senate Intelligence Committee chairwoman Dianne Feinstein (D., Calif.) questioned whether President Obama is devoting enough attention to these issues rather than focusing on political fundraisers and events. 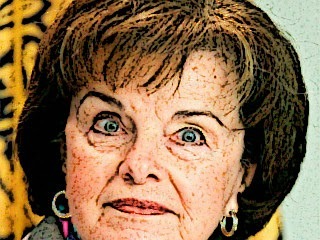 Feinstein’s call for Obama to be more focused and attentive comes as he is ... on a three-day trip to the West Coast for Democratic fundraisers in Seattle, the Bay Area, and Los Angeles. I repeat my call for Section 8 Housing for Illegal Aliens on Martha's Vineyard. Which would appear to be the only way to get Dear Leader to pay attention. Question: When is a tech news site actually a public relations arm for a bloodthirsty terror group? 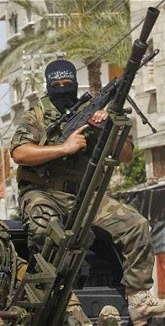 PJMedia's Bryan Preston rightfully asks, "Is Tech Site Mashable.com Siding with Hamas Terrorists?" In “‘Am I Going to Die, Daddy?’ The Child in Gaza Asked,” reporter Jon Snow states that “If the Israelis have proved anything, it is that there is no such thing as a forensic strike.” Snow never allows for the fact while Israel tries to avoid civilian casualties, while Hamas feeds on them. ...Snow’s piece fits well within Hamas’ anti-Israel propaganda. Why is a tech site like Mashable publishing it? It's almost as if Snow and Mashable are operating as a free public relations firm for one of the most bloodthirsty terror groups in the world, and one that is a a direct descendant of Nazi Germany. Here's one of many videos secretly taped in Gaza that Mashable won't show you: Hamas terrorists savagely beats Gaza civilians who heed IDF calls to leave targeted areas, for instance. Mashable also won't tell you that the Hamazis are forcibly strapping suicide belts to children and sending them into Israeli lines at gunpoint. Hamas is committing war crimes daily, using civilians as human shields and targeting innocents with their thousands of rockets. 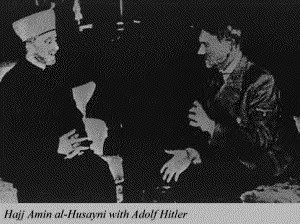 Hamas is a group with direct ties to the Third Reich and Adolf Hitler. Why Mashable is promoting this Nazi sickness is beyond me, but it is reprehensible. There is no moral equivalence between Hamas and Israel, none. Hat tip: BadBlue Tech News (of which Mashable is no longer a member). How Congress chooses to act in the coming hours and days will determine whether the President succeeds in his plan to nullify the immigration laws of the United States. Just yesterday, TIME magazine reported that the President is considering a grant of ‘work authorization for perhaps several million undocumented immigrants.’ Permitting those illegally present in the U.S. to work and take jobs is contrary to plain law, which the President has no power to change. Yet Democratic members of Congress have openly crowed about these planned executive actions. It has now been extensively reported that these executive actions will likely expand his Deferred Action program (DACA) to apply to an additional 5–6 million adult illegal immigrants. The existing DACA program has been widely misunderstood. The executive action did not, as The Hill writes today, only result in ‘deferred deportations for young undocumented immigrants.’ Illegal immigrants in the interior of the U.S. have already, as a practical matter, been immune from enforcement under this Administration. DACA applies to individuals up to 30 years of age and provides actual amnesty papers, photo ID, and work permits to illegal immigrants—who can then take any job in America. The President’s planned executive orders would expand this permitting program to another 5–6 million illegal immigrants. This would effectively end immigration enforcement in America. No Member—House or Senate, Democrat or Republican—should support any bill with respect to the border crisis that does not include language explicitly prohibiting the Administration from taking such action. Congress must foreclose any possibility of these unlawful executive actions before congressional funding is granted. This is an essential precondition. The American people have begged and pleaded for years for our laws to be enforced. We have people in our own country living in violence, fear, and poverty every single day. They have demanded an immigration policy that puts their jobs, wages, and communities first. Every citizen should pick up the phone and ask of their congressional representative: where do you stand? CALL CONGRESS NOW AND DEMAND IT BLOCK OBAMA'S PLANNED DICTATORIAL AMNESTY ORDER. QOTD: "If Obama were a Republican, the press and the weekly news shows would be ringing with hyperbolic, apocalyptic denunciations of the clueless incumbent who had failed to learn the most basic lessons of Iraq. Indeed, the MSM right now would be howling that Obama was stupider than Bush. Bush, our Journolist friends would now be saying ad nauseam, at least had the excuse that he didn’t know what happens when you overthrow a paranoid, genocidal, economically incompetent Arab tyrant in an artificial post-colonial state. But Obama did—or, the press would nastily say, he would have done if he’d been doing his job instead of hitting the golf course or yakking it up with his glitzy pals at late night bull sessions. The ad hominem attacks would never stop, and all the tangled threads of incompetence and failure would be endlessly and expertly picked at in long New Yorker articles, NYT thumbsuckers, and chin-strokings on all the Sabbath gasbag shows. 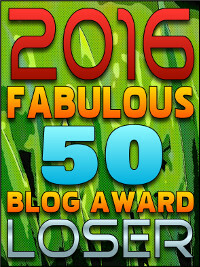 Larwyn's Linx: Are We There Yet?